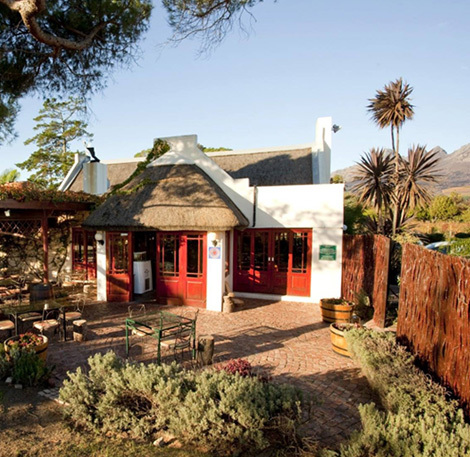 From the start, in May 1996 it has been our goal to delight each guest with a superb dining experience in our warm, relaxing venue set in the heart of the glorious HELDERBERG countryside. We use only fresh, often organic and where possible local ingredients to prepare our dishes. They are inspired by SOUTH AFRICAN favourites and flavours from around the world. The fresh seasonal and inspirational menu changes almost every day, the main menu four times a year. 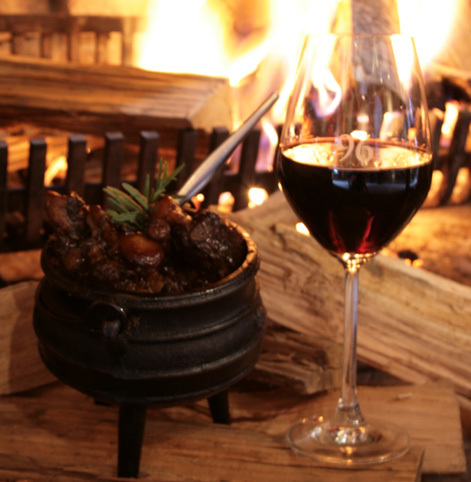 Founded by ex-Johannesburg restaurateur Ken Forrester, Devon Valley wine maker Martin Meinert and Chef Kathy Romer-Lee, the opening was preceded by lengthy debates in Ken's kitchen about the butternut colour of the interior and the name – Butternut? Wine plays a major role in the partners' lives and many of the local winegrowers are regular patrons. And so situated on Winery Road, it remained only to put a prefix in front of the name. No erf number, no twisted Freudian logic, just the abbreviation of the founding year designating the beginning of good fortune. Ken's grapes from his near by "Scholtzenhof Farm" are vinified by Martin in the winery on the latter's property, Devon Crest. The vineyards distinguish the Ken Forrester and Meinert ranges of premium wines. (Available for tasting and sale at the restaurant) Ken, as he showed with his award winning wine list at Gatriles in Johannesburg, has long had a fascination with the liquid. A list of around 250 wines puts our commitment to the industry and enjoyment of every meal beyond doubt. Allan, Ken's brother who had cut his teeth at La Bastille, joined as manager and partner soon after the opening. When Kathy left us for Plettenberg Bay and motherhood, Natasha Harris, also with us since the beginning, slipped seamlessly into her chair and partnership. We at Winery Road take pride in personally training our staff. Most of our chefs started in the scullery and have worked their way up, even as far as Sous chef positions. Natasha has been pivotal in driving this initiative, which underscores our commitment to continuity and the local community. We trust you will feel at least some of the pride and enjoyment that created this eatery and that continue to leave their mark on every dish. We thank you for your custom and trust your experience at 96 will draw you to return time and again.